New plastic molded cricket set for kids new for 2016-2017. Great value for money available in size 4 and 6. Great gift item for children comes in shoulder carrying bag. 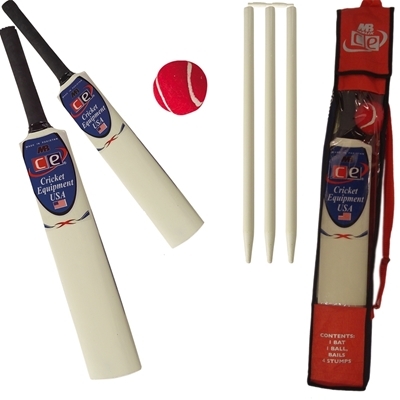 The cricket set is great for backyard, beach or in park cricket. Water proof set can play in rain. 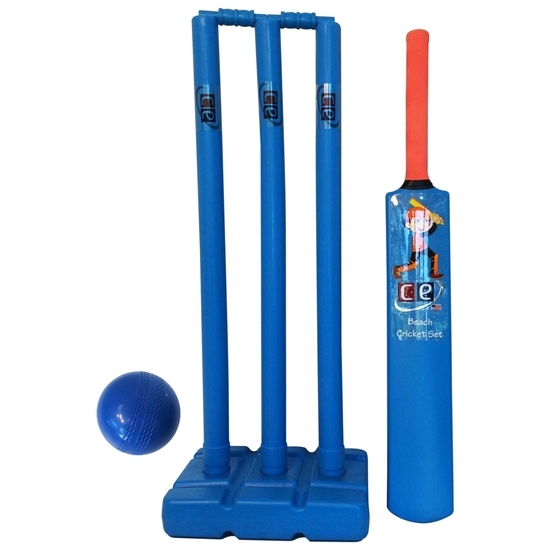 No protective gear needed as it comes with a soft rubber balll, an ideal starer set for young children. Great fun for indoor and outdoor use Available in sizes 4 & 6. Available in sizes 4 & 6. 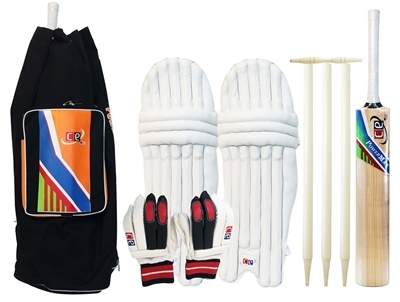 View cricket set size information for bats. The set is made of plastic and and is of good quality. We play in our back yard and left it our few time when it rained and there was no issue with it after it dried. We had another set which is made of wood and have problem with it if you leave it out in the yard and forget to bring it indoor specially when it rains. Bought it for my son and have been happy with the quality and carrying bag.